Annual Passports to Disneyland in California and Walt Disney World in Florida can be very expensive. These year long passes are rarely discounted to the general public beyond certain passes with lots of block out dates. Ticket bridging is defined as applying the value of your Disney theme park ticket towards the cost of an annual pass. The savings kicks in when you purchase discount Disney World tickets or discount Disneyland tickets to use for your upgrade. 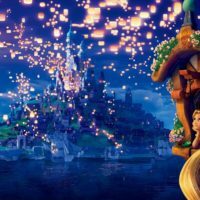 The computer systems of authorized third party resellers, like Get Away Today (our recommended authorized ticket reseller and partner with Disneyland for over 26 years), do not share the price paid for tickets. When you present your ticket to upgrade to an annual passport, it is assumed that you paid full face value for the ticket, even though with this strategy you will have purchased the ticket at a steep discount. Here are 6 easy steps to save money on your Annual Passports. See all of the different options of annual passports on our Disneyland tickets page or our Walt Disney World tickets page. Purchase the ticket with the largest discount over the main gate. For Walt Disney World, the ticket with the biggest discount is currently the 7-day Park Hopper Ticket with a savings of $86. For Disneyland, the largest discount is on the 5-day park hopper ticket with a savings of $24. Make sure you purchase the e-ticket which can be picked up at any Disney ticket booth. Write out the entire transaction. Calculate the amount that you should be credited for your tickets, the price of the annual passport you want to purchase, and the final difference you will have to pay in order to upgrade your ticket to an annual passport. Once you have all this written out, you may proceed. Go to a guest relations window with your ticket. Visit one of the Guest Relations desks at the park and request to upgrade your ticket to an Annual Passport. Check the amount the Cast Member is giving you with your notes from step #3. Ticket bridging is an uncommon transaction for a Cast Member to complete and may be confusing. Make sure that everything is lining up correctly and that you are getting the full value for your ticket. If the Cast Member isn’t able to assist you, a supervisor or “lead” nearby will be able to help you complete the purchase. If they are unable to help, visit a different Guest Relations window. Pay the difference between the ticket price and annual passport price with a Disney gift card you got for 5% off. To take this ticket bridging to the next level. You can pay the difference of your ticket price with a Disney Gift Card you purchased for a discount. See info here on how to get 10% off when you purchase a Disney gift card. Assuming all has gone well, you should have a fully functioning Disney Annual Passport. Enjoy your ticket. Share this method if you think any of your friends would find it helpful. I’ll use an upgrade from the five day Disneyland park hopper ticket to the Disneyland Signature Annual Passport as an example. The five day park hopper ticket is worth $335 and the Annual Passport costs $849. You would pay the difference between the two tickets which is $514. If you used the Disney gift card to pay this difference you could get 10% off the difference. You could save $51.40 from using the Disney gift card in addition to the $24 you saved by purchasing the discount ticket. In total you would save $75.40 on your Disneyland Annual Passport when you upgrade a discounted ticket to the Signature Annual Passport. The final cost of the Annual Passport for Walt Disney World will be even less because of the steeper discount on tickets and lower price for Annual Passports in Florida. 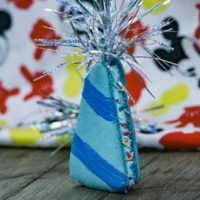 Can you apply the Disney Vacation Club discount? Yes, this price bridging can be applied to the discounted Disney Vacation Club Annual Passport rates. Can you use the discount with Annual Pass renewals? Yes, you can use this price bridging strategy on Annual Passport renewals. Are you sure this strategy works at Disneyland?!? Other websites have said that price bridging only works at Walt Disney World in Florida. They claimed this was because Disneyland coded the price you actually paid, i.e. the discounted rate, onto the physical ticket. This means that the price bridging strategy does not work for most ticket resellers. Get Away Today does not fall into this trap because they have the ability to sell you a Disney e-ticket which falls directly into the Disney Parks computer system. You just have to pick up the ticket at the ticket booth and then proceed to Guest Relations. There is no distinguishing marking on these tickets and you will be given full value for the tickets. Does this work for Universal Studios Hollywood? Unfortunately, this ticket upgrading technique does not work with discount Universal Studios Hollywood tickets. I have heard conflicting stories about ticket bridging using these tickets. Most likely, they would be able to see how much you paid for the ticket and just credit you that amount, however that may not even be possible. You should be able to find a good deal for Universal Studios Hollywood Annual Passports on our Universal Studios discount tickets page. 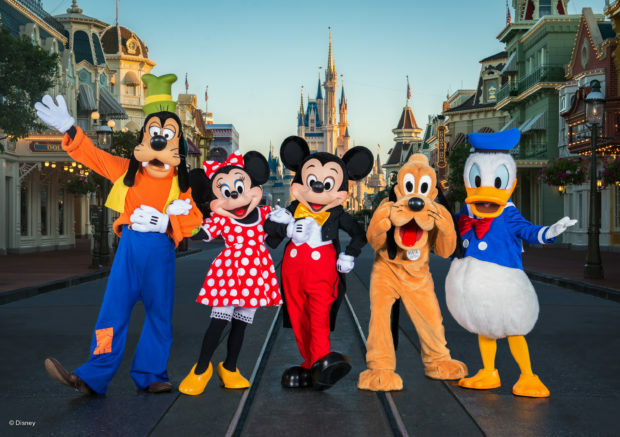 Planning a Disney Parks Vacation? 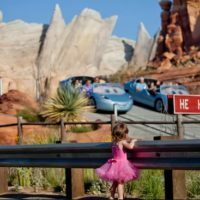 I have a whole guide to saving money at Walt Disney World, Disneyland, and Universal Studios at MickeyVisit.com. Disney Parks and Resorts are changing their policies all the time. For now, this strategy works well and can get you a fantastic discount on your annual passports, but it could change in the future. This is editorial content, use at your own risk. Has anyone tried to do this recently? If so, has it worked okay for you? I am interested in going to disneyland during December for the first time. I could really use a fun disney vacation after a year of back to back hard times. I need to save money wherever I can. Hey. Thanks Gavin for this ticket bridging idea. I am a father of 8 kids. So I will be purchasing 10 passports. Your tip could make a big difference for us! I will be purchasing the Southern Cal. Select Passport which goes for $329 each ($3,290 for 10). If I do your method the 5 Day Park Hopper ticket through Get Away Today goes for $311 ($3,110 for 10) and the Disney Retail rate is $335 ($3,350 for 10). If I do this, then Disney would be actually be refunding me $60 total to upgrade to the So. Cal. Select Passport. Would they actually refund me to do this? That’s a really good question. I would give Disneyland a call. I doubt that they would refund you money though. Do you have to purchase the E-ticket to do this deal or would you be able to use the hard copy Getawaytoday.com sends you. You are able to use the hard copy tickets that Get Away Today uses. Eventually you will have to use the hard copy tickets regardless. Awesome tip! Also, wouldn’t you be able to use discounted gift cards to pay for the park hopper tickets as well? So not only do you get the park hopper tickets at a discount but you’re using the discounted gift cards to purchase as well. Oh… nevermind the previous comment… got too excited and forgot to realize we are not purchasing the park hopper tickets directly from disney. Can ticket bridging work if I get a military discount on my ticket?